"This wasn't the first time that I'd come close to death, but it was the first time I'd been involved in this part of it, this strange, terrible saying goodbye to someone you've loved." These are Vicky Austin's thoughts as she stands near Commander Rodney's grave while her grandfather, who himself is dying of cancer, recites the funeral service. Watching his condition deteriorate over that long summer is almost more than she can bear. Then, in the midst of her struggle, she finds herself the center of attention for three young men. Leo, Commander Rodney's son, turns to her as an old friend seeking comfort but longing for romance. Zachary, whose attempted suicide inadvertently caused Commander Rodney's death, sees her as the one sane and normal person who can give some meaning to his life. And Adam, a serious young student working at the nearby marine-biology station, discovers Vicky, his friend's little sister, incipient telepathic powers that can help him with his experiments in dolphin communications. Vicky finds solace and brief moments of peace in her poetry, but life goes on around her, and the strain intensifies as she confronts matters of love and of death, of dependence and of responsibility, universal concerns that we all must face. The inevitable crisis comes and Vicky must rely on openness, sensitivity, and the love of others to overcome her private grief. 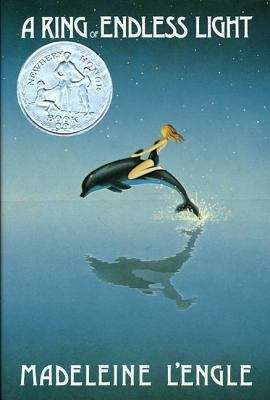 Once again, Madeleine L'Engle has written a story that revels in the drama of vividly portrayed characters and events of the spiritual and moral dimensions of common human experiences.